With the growing demand of production houses, broadcasters, advertising agencies and online publishing companies for enriched multimedia content, the development of innovative tools supporting automatic annotation, editorial processes, personalized functionalities and synchronization in multi-screen environments becomes a need rather than a desire. The wide range of available multimedia devices and access technologies, along with the ubiquity of mobile portable devices offering increased multimedia capabilities and the broad acceptance of social networks, have allowed an always-on lifestyle for the modern connected individual. 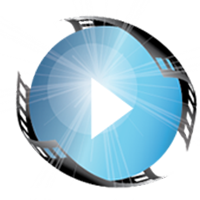 The adaption of enriched multimedia content to multi-screen environments, which enables the automatic porting to different target platforms, such as regular web pages, mobile pages and mobile apps, as well as TV applications, is a significant asset for the global market of enriched multimedia content. MECANEX toolkit offers the ability to semi automatically enrich video collections for multi-screen application, as well as rapid prototype multi-screen concepts and test related interaction models, allowing the development of solid business models, marketing and advertising campaigns. Consumers' preferences are collected and provide feedback to the aforementioned tools related to the production process offering personalized targeted multimedia content to the end-users. In a nutshell the automatic annotation support will lower annotation costs for broadcasters and production houses, while advanced search and retrieval technologies will reduce the time/cost for finding relevant pieces of content and will improve the quality level of content for re-use. Advertising agencies will benefit from exploiting multimedia annotations towards designing sophisticated user-engaging content and context-aware personalized advertising services that maximize users' experience and increase brand awareness and conversion rates. The Fraunhofer FOKUS Business Unit Future Applications and Media (FAME) is responsible for the development of the editorial tool and contributes to the multiscreen feature. This project has received funding from the European Union's Horizon 2020 research and innovation programme under grant agreement No 645206.